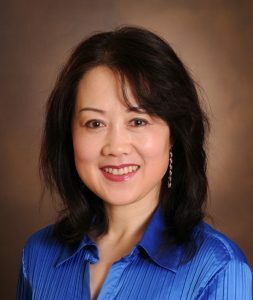 March 15, 2016 | March 15, 2016 | Fen Xia, M.D., Ph.D., M.S., an internationally recognized radiation oncologist and physician-scientist, is joining the University of Arkansas for Medical Sciences (UAMS) as chair of the Department of Radiation Oncology in the College of Medicine. Xia, who will join the faculty on July 1, 2016, currently serves as a tenured professor and director of translational research in radiation oncology at the Ohio State University College of Medicine. She specializes clinically in radiation treatment of central nervous system benign and malignant tumors. Her research focus is in DNA damage response and repair and the impact of these processes on genomic stability, aging, carcinogenesis, tumor response and normal tissue injury in cancer treatment. Xia received her medical degree at Suzhou Medical College in Suzhou, China, in 1983 and a Master of Science in radiation toxicology at Suzhou in 1986. She received her doctorate in cancer biology in 1996 at Harvard University, where she also completed postdoctoral training. Xia completed her radiation oncology residency at Vanderbilt University Medical Center, becoming one of the few physicians in the nation to earn an R01 research grant from the National Institutes of Health (NIH) during residency training. After her residency Xia served on the faculty of Vanderbilt’s departments of Radiation Oncology and Cancer Biology for five years, directing the Central Nervous System Clinic for 15 months prior to her recruitment to Ohio State in 2011. She was promoted to tenured professor at Ohio State and named director of translational research in radiation oncology in 2014. Xia has remained continuously funded with multiple R01 grants since her residency training. She is also the principal investigator on an established investigator-initiated clinical study of cancer predictive biomarkers and novel therapeutic strategy. Xia is a charter member of an NIH/National Cancer Institute (NCI) study section and has served on many other national and international grant review sections for funding organizations. Xia serves as editor, associate editor and editorial board member for several scientific research journals. She also serves on the American Board of Radiology/Radiation Biology and is active in the American Society for Radiation Oncology (ASTRO) Science Council’s Research Evaluation Committee and ASTRO’s Research Direction Committee. Other recent national posts include the scientific program committees of the American Association for Cancer Research and the Radiation Research Society. Xia has mentored many successful undergraduate and graduate students and postdoctoral fellows, medical students and residents, and junior faculty members.